My world seems full of baby girls lately! Not that there are actually that many of them, it's just that the babies recently born and the babies on the way are all girls! I made this card for my Sister and her partner to welcome little Matilda. I met and cuddled her yesterday, such a sweet little bundle with a head of very long hair. Card made with SU Cardstock, PTI dies and stamps, bakers twine and washi tape. I'll be back soon with some more crochet posts sharing the sweet little baby things I have been making and gifting. 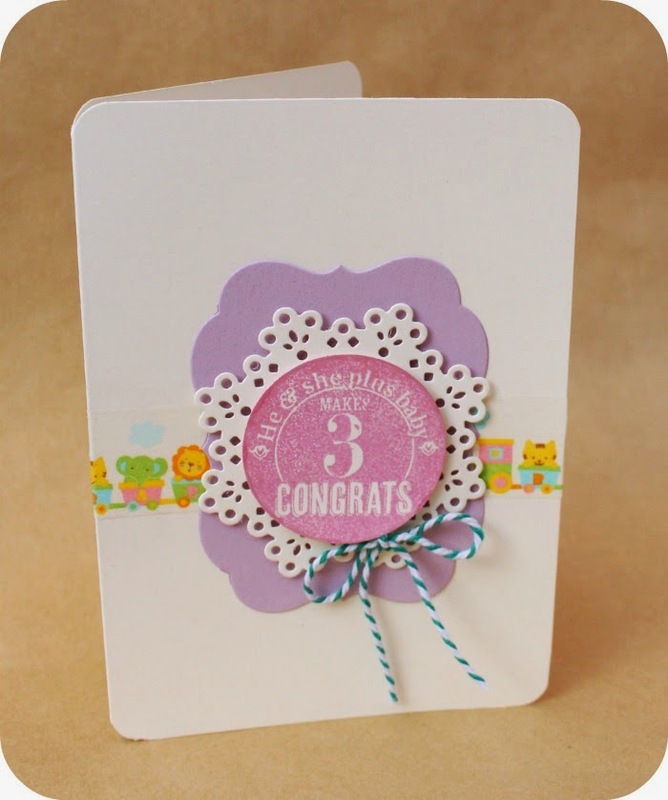 Very cute card, love the washi and laying of diecuts.